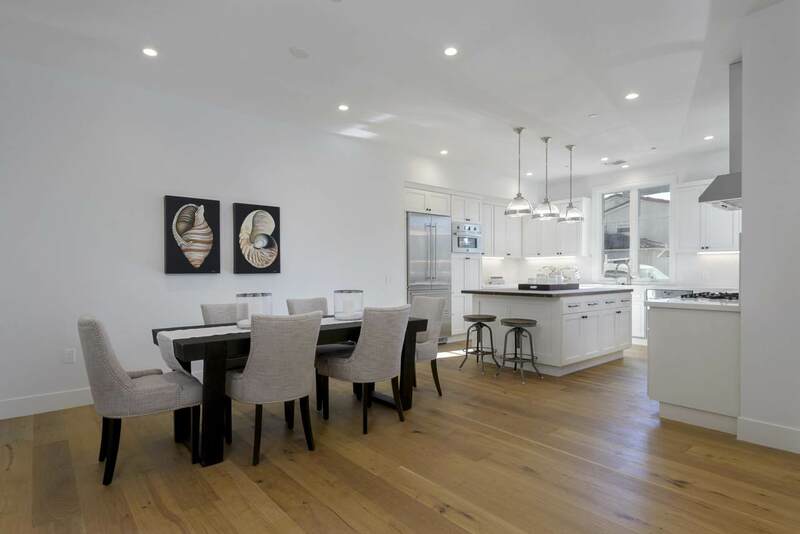 This vibrant and chic West Beach Townhome, boasts an expansive kitchen with quartz countertops and a large center island outfitted with walnut butcher block. 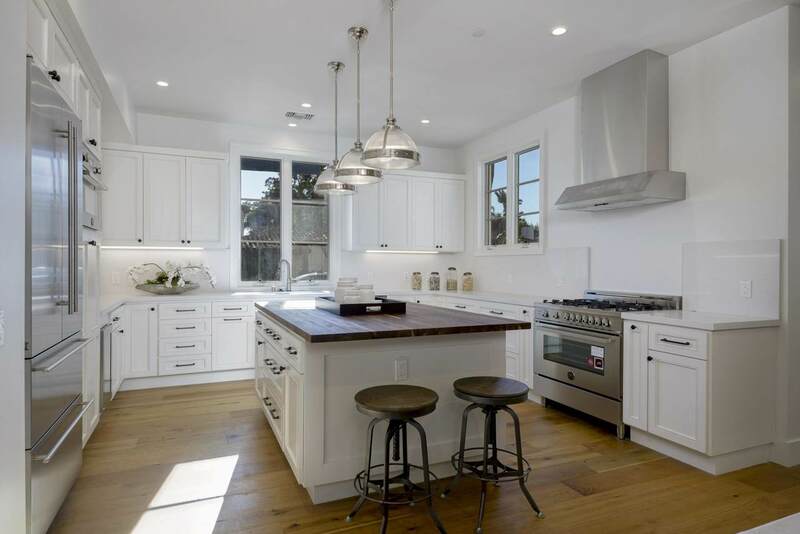 Bertazzoni and Liebherr appliances are flanked by soft white custom cabinetry, which is accented by the honey-colored French oak floors. 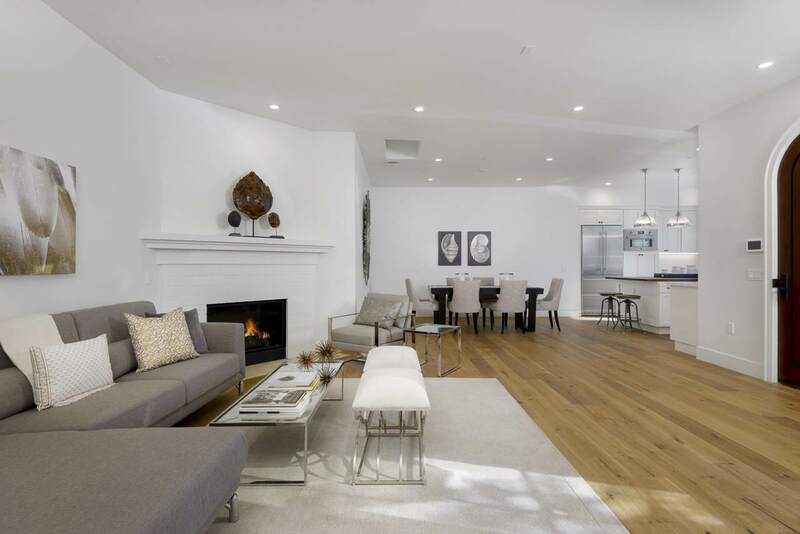 A welcoming living room with fireplace welcomes guests; three bedrooms are located upstairs, including a gracious master suite with Juliet balcony, large walk-in closet, and marbled bathroom. The third level boasts incredible Riviera views, with peaks of the ocean between Santa Barbara's iconic palms.The Residences at West Beach perfectly reflect Santa Barbara's Spanish heritage with vibrant white-washed walls, terra cotta tile roofs, copper and iron accents, red-bricked pathways, succulent filled gardens, and majestic mountain, Riviera, and ocean views. 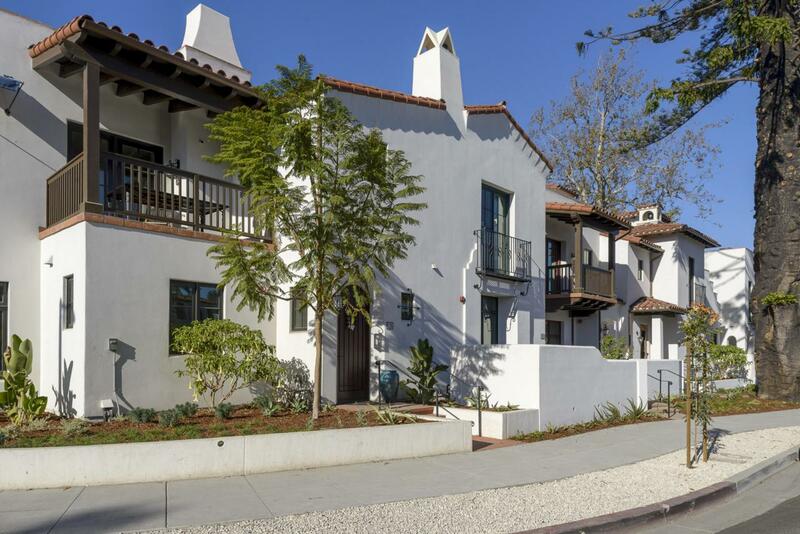 Located on a portion of the property once home to the historic Potter Hotel, this chic enclave of townhomes boast luxurious contemporary finishes, brick fireplaces, rooftop decks with outdoor kitchens, and private elevators and garages, all within immediate proximity to the beach, the Funk Zone, and Santa Barbara's burgeoning downtown district.